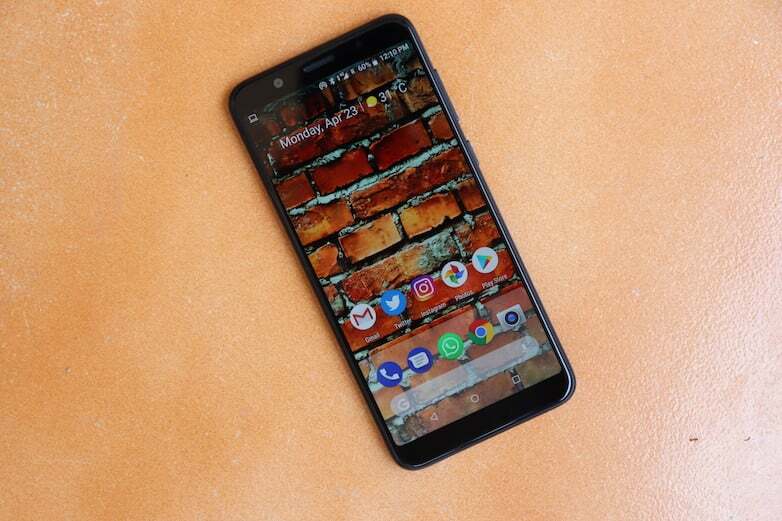 Smartphone manufacturers are diving in head first into the budget category by releasing their phones in the very competitively priced segment. With brands like Lenovo, Oppo, Xiaomi, Honor, Motorola and even Samsung releasing their latest budget oriented phones near the price range of Rs 15,000 this price point is definitely headed towards over saturation due to the release of new smartphones week after week. However, among the mass of manufacturers, there is one smartphone company which has truly set itself apart because of its exceptional specifications which it offers in its phone along with the very affordable pricing. The company we are talking about is Xiaomi. The Chinese manufacturer contributed to 31% of the market share in the last quarter, which is quite a big share of the pie. Still, there is one company which has taken the audacious step to go against the Chinese smartphone manufacturer by debuting its new budget-oriented smartphone which would match the likes of the Xiaomi Redmi Note 5 Pro in India. 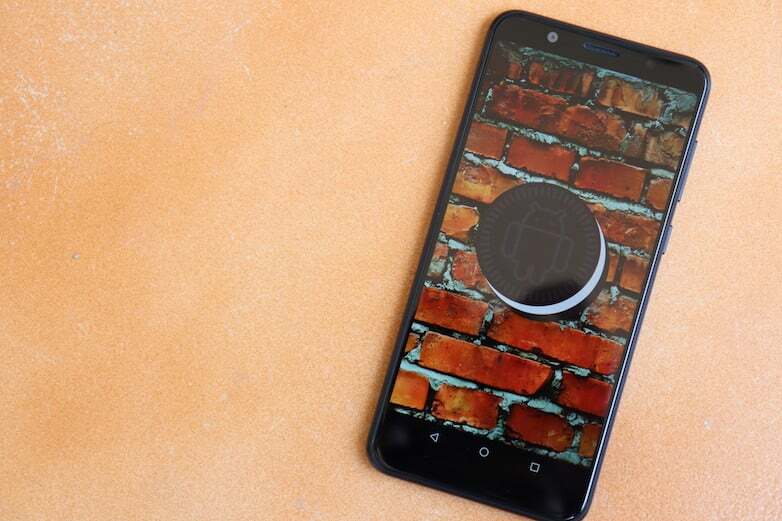 Asus, the Taiwanese smartphone manufacturer company is all set to launch its Asus Zenfone Max Pro M1 in India which will start selling at the price of Rs 10,999 and this price range it will also deliver Xiaomi like specs. Let’s take a deeper look and see if the phone will be able to make a dent in Xiaomi’s sales figure in the budget segment. The Asus Zenfone series has been long known to sport a similar and monotonous design, this remains the case with the latest release too. Asus hasn’t done a lot in the aesthetics department and has followed the conventional Asus Zenfone design in this case. 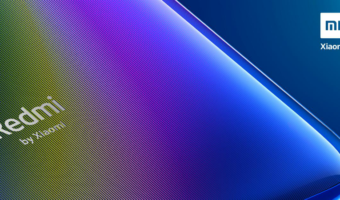 ?Like we said, the aesthetics of the phone aren’t necessarily very up to the mark with the phone coming with thick bezels and no notch or design upgrades. The Asus Zenfone Max Pro M1 features an old-school design with little to no innovation on the screen. It sports a unibody metallic design along with a matte finished rear body. On the rear, there is also the dual camera setup which seems to be better placed and designed than its Xiaomi counterpart. 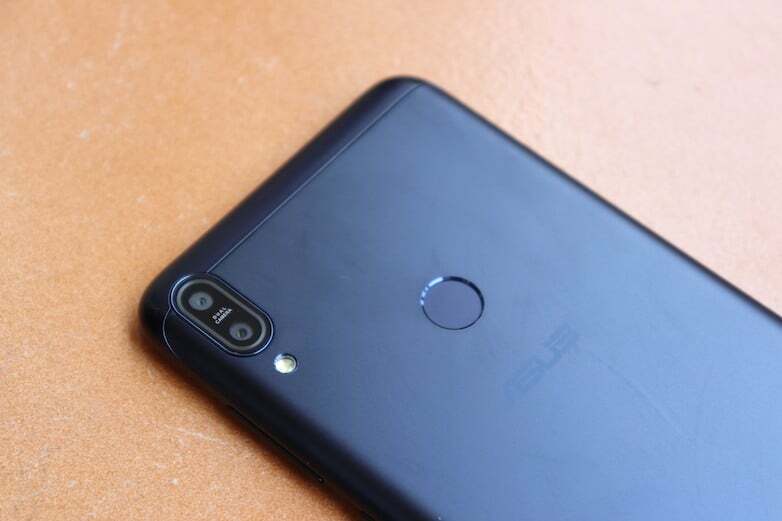 The rear camera on the Redmi Note 5 Pro protrudes a little bit, on the other hand, the Asus Zenfone Max Pro M1 executes the same dual-camera setup design more cleanly and with precision, thus giving a more premium and smoother look to the phone. Although the phone comes with a matte finish, while using, the rear panel does get fingerprints on it. Also, the rear panel houses the fingerprint scanner in the middle along with the Asus branding. As for the power button and the volume rockers, the Asus Zenfone Max Pro M1 houses them on the right side of the phone. The triple slot on the phone has been provided on the left side. The 3.5mm jack, speaker grille and micro USB have been placed on the bottom of the device, following the usual convention and design standards. 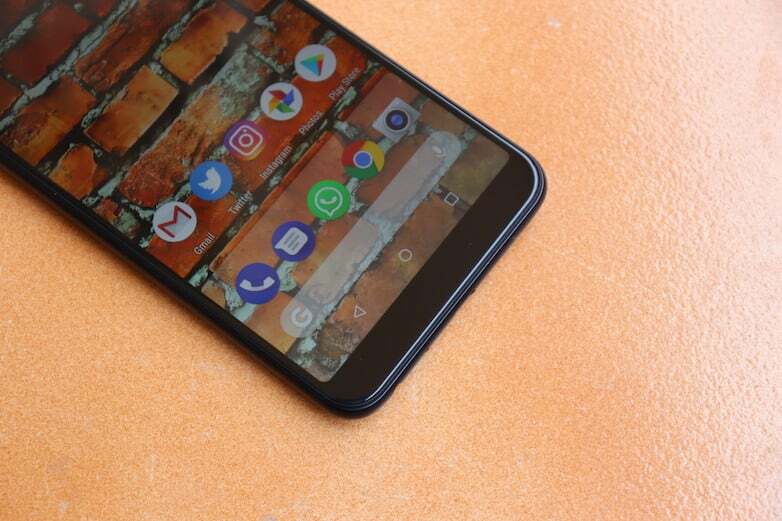 On the whole, the design of the Zenfone Max Pro M1 is alright for a budget smartphone, but it’s not a head turner by any means, like the Honor 9 Lite or the Huawei P20 Lite. The Asus Zenfone Max Pro M1 being in competition with the Redmi Note 5 Pro offers a strikingly similar 5.99-inch Full HD+ display with a 2160 x 1080 resolution. The display also does not miss out on the additional features like Adaptive brightness and Night Light. 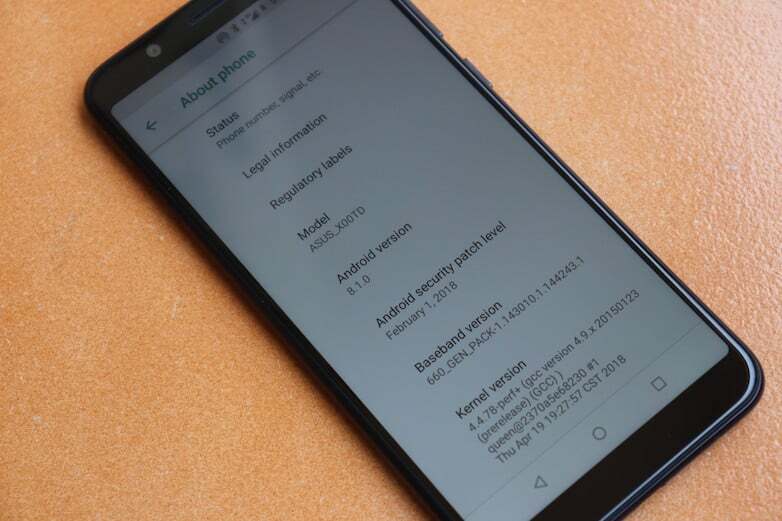 Through the settings on the phone, the users will also be able to change the font size, display size and the tone of the screen, the usual Android Oreo stuff. Speaking of overall display quality, the Asus Zenfone Max Pro definitely performs decently even in well-lit conditions. Given the sufficient brightness on the phone, the text was also legible even under peak sunlight. 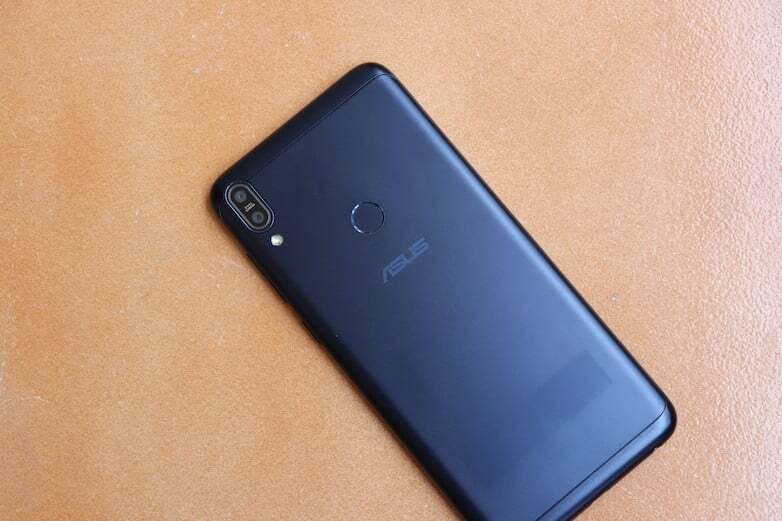 This is yet another department where the Asus Zenfone supposedly borrowed specifications from its competitor, the Redmi Note 5 Pro. Both the phones come with the same Qualcomm Snapdragon 636 processor. This chipset is powered by the Kryo technology, which belongs to the 800 series of chipsets. The review unit which was provided to us offered 3GB of RAM and 32GB of internal storage. The phone will also be available in 4GB of RAM and 64GB of onboard storage. 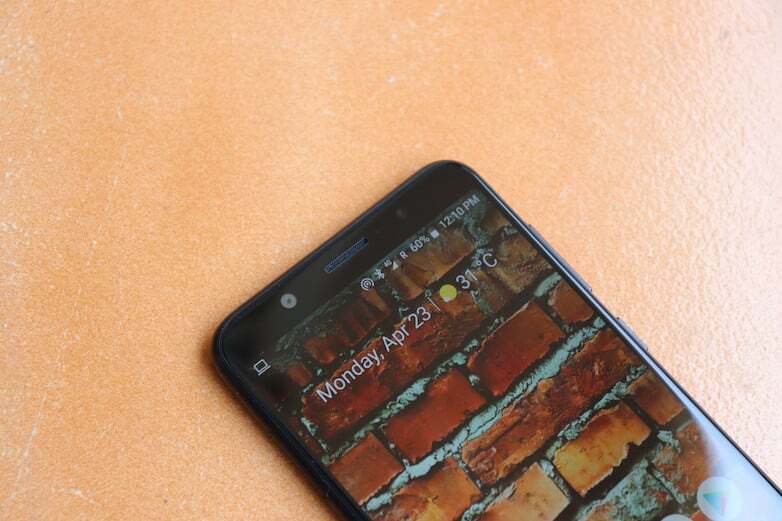 In real life testing, the Asus Zenfone Max Pro M1 did not present any issues like delay frame-freezing or heating issue. Because of the sufficient RAM, there were also no lags on the phone. The quality of the call and audio were also decent. However, there is still the problem with the sound getting obstructed when the device is kept in landscape mode. 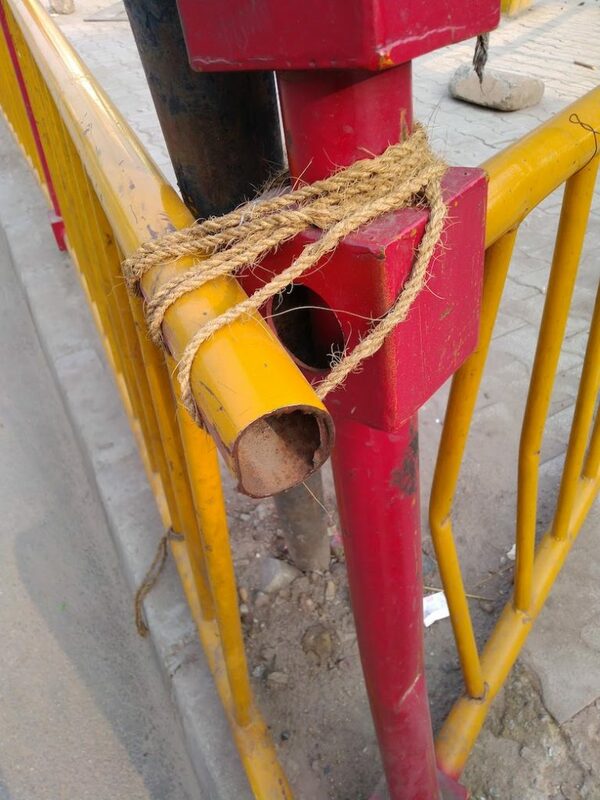 Since this is something which is not unique to the Asus phone, it can be gotten used to by the users or can also be altogether avoided most times. And there’s the Asus MaxBox Sound tweaker device which comes inside the retail box. The MaxBox amplifies the sound by 2x and delivers better sound than the phone’s loudspeaker. Moving onto the software front of the Asus Zenfone Max Pro M1, the phone boots Android 8.1 Oreo out of the box. The UI of the phone is a pure stock experience which a lot of phones seem to be shipping these days. This is a place where the Asus Zenfone truly shines when compared to the Redmi Note 5 Pro because even though the phone offers impeccable specs, it only runs on the Android Nougat 7.1.1 with the MIUI 9 on top as its skin. Unlike the Xiaomi phone, the Asus Zenfone will give a bloatware-free experience to the users courtesy of the stock Android. There are also going to be regular OS updates along with latest security patches according to Asus. After the latest software update, the software has gotten much better. The phone now offers Face Unlock mode, which works alright in well-lit conditions, but not in low-light situations. The fingerprint scanner’ speed is something which worried me, but it will get better with future software updates. Along with these bumps on the software and offering decent level hardware, the Asus Zenfone Max Pro M1 also offers an impressive 5000mAh battery. The battery life on the smartphone is impeccable. It’s amongst the best battery smartphones of 2018. I was using the Nokia 7 Plus which is already a battery champion, but the Zenfone Max Pro M1 delivers even better battery life, and it’s understandable. Even on dual 4G SIM cards, I was able to eke out seven hours of screen-on time every time I charge the device. Initially, the standby time worried me but after the software update, the standby battery has become better, but it still needs some work. Staying up with the trends of 2018, Asus has done the imaging on the Zenfone Max Pro M1 rightly by providing it with a dual camera setup. The camera module which has been placed on the left rear side of the device above the LED flash consists of a 13MP primary sensor along with a 5MP secondary sensor which helps the device in capturing images with the shallow depth of field or simply the bokeh effect. For selfies, the users get an 8MP camera on the front. However, there is one interesting small little tweak, which is the vastly different camera app UI on the Asus Zenfone. The device ships with the Snapdragon camera app. This interface offers easy access to camera modes, filters, beautification, settings and depth of field features. 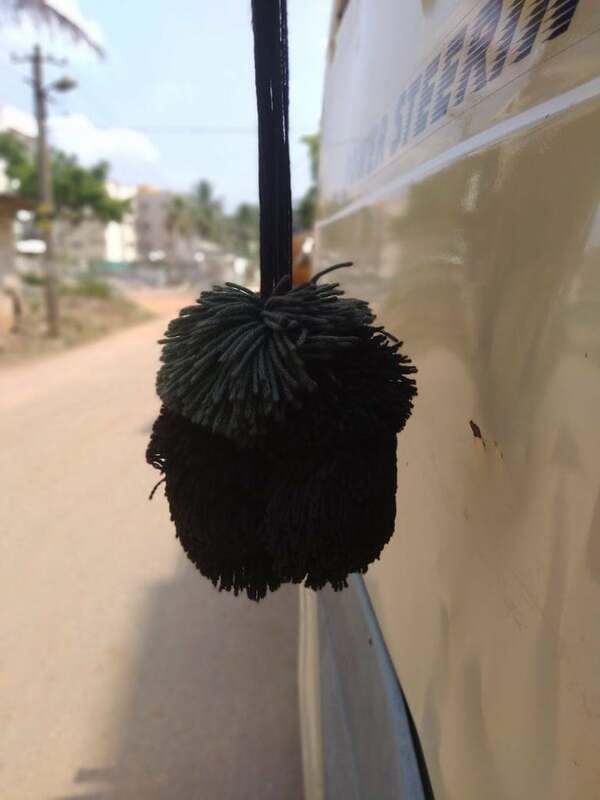 The smartphone was able to click images with a good level of detail and perfect blurring of background in the natural lighting conditions. On taking the phone inside, the phone was not able to perform according to our expectations as there was some noise in the images which were clicked inside. The colour representation of the images was well done. 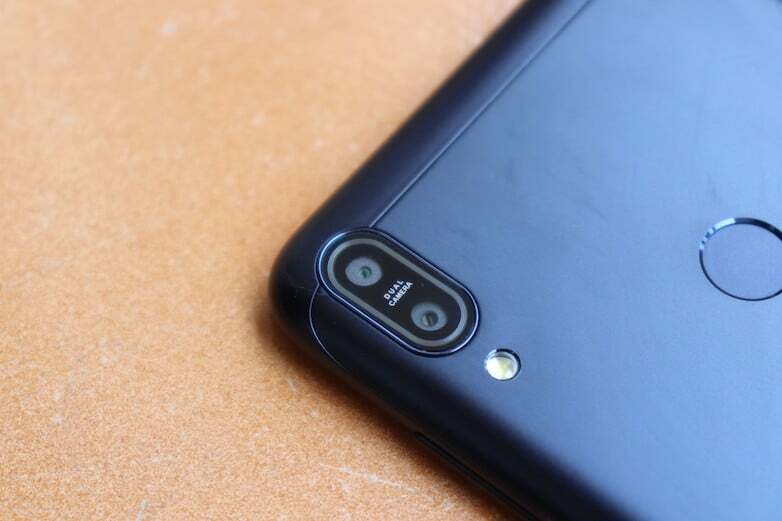 Also, coming on to the selfie camera with the 8MP sensor and f/2.0 aperture, the camera failed to perform according to the present standards which the smartphones from other brands have set for a selfie camera. But this is understandable since the camera hardware on the Zenfone Max Pro M1 is nowhere close to what Xiaomi is offering. But Asus is promising that it will continue improving the camera experience through OTA updates. And for camera lovers, Asus also introduced a premium 6GB RAM variant with upgraded cameras, but that will be sold at a later date. 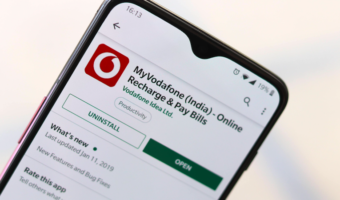 Another highlight feature of the smartphone is the dual 4G connectivity option, which allows users to install two 4G SIM cards on their smartphone. Also, the device supports dual VoLTE functionality. 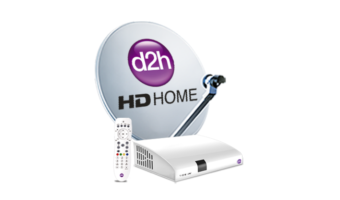 Other connectivity options include Wi-Fi 802.11 b/g/n (no 5GHz band support), Bluetooth, GPS and a micro USB port. Asus also provides a 10W charger inside the retail box, which is rated to charge the device faster. The Asus Zenfone Max Pro M1, on the whole, is an excellent smartphone for the asking price. The Rs 10,999 variant ships with 3GB of RAM and 32GB of internal storage while the Rs 12,999 offers 4GB of RAM and 64GB of storage. The premium variant with upgraded cameras will retail for Rs 14,999. Well, the prices are lower than the Redmi Note 5 Pro’s, and they’re certainly attractive too. If stock Android is your go-to option and if you can compromise on the cameras, then the Zenfone Max Pro M1 should be your choice. The next sale of the smartphone is on May 10, and the demand will also be super high, so be ready to grab it.